Summary: Asari Ski Area isn`t our choice for a blower pow day on the Northern Island, but family-friendly trails, manicured terrain for serious carvers and Western Hokkaido`s most enjoyable freestyle park make this small ski hill near Otaru a nice place to escape the crowds for a day. No pow, no problem. Freestyle it. Although lacking size and base area amenities, Asari delivers a great change of pace from the frantic powder frenzies that draw big crowds of deep snow junkies at more famous ski hills in the region. 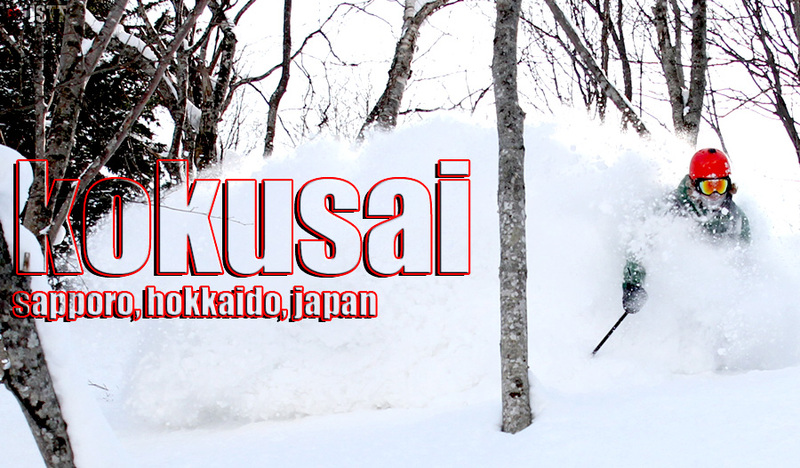 Sure, when storms are pummeling Niseko, Kiroro, Rusutsu, Teine Highland or Sapporo Kokusai, you`ll want to get your pow starved selves to one of those faceshot capitals of the world. But cheap lift tix, crowdless slopes, nice views, famous onsen and probably the most interesting freestyle park in Hokkaido make little Asari a place that will have you smiling on your way back into Otaru for a world-class seafood dinner. Likewise, with easy public transport options to/from lovely seaside town, Otaru, there`s really no reason to skip it like most visitors from overseas. If the weather is calm, sun is shining and you`re looking for some chilled-out fun, a few hours at Asari is a great way to enjoy the beautiful Ishikari Bay background. The trails at Asari have a lot of family appeal, but also offer some steep-n-speedy sections for more advanced snow sliders. The trail system isn`t very extensive but there is enough variety on-piste to keep different ability levels occupied. Beginners could easily profit from multi-day stays, while intermediates not concerned with really challenging themselves could also spend an entire day or two enjoying the well groomed, uncrowded pistes. Normally we don`t bother with a freestyle category when describing Japanese ski areas because who needs a terrain park when 15 meters of accumulation piles-up on nearby mountainsides?! But one of the most interesting aspects to Asari is the fun freestyle zone. Asari`s “No Rickers Park” is a collection of jumps, boxes, rails, spines and wall rides that can satisfy the freestyle fix for just about every level of terrain park rider. The features are diverse and the flowy layout of the park adds to the enjoyment. Asari`s park isn`t an X-Games Aspen-style arena, but this hidden stash of shaped snow, wood & steel is a refreshing discovery amidst some of the world`s deepest pow pockets at other nearby ski areas. Off-piste riding is pretty limited at Asari. Other reviews on the web give a bit more credit than we feel is deserved in this category. The trees at Asari offer some fun, short options, but the spacing is uneven and fairly tight in spots. Likewise, the tree runs often have tricky fall-lines that funnel you in the opposite direction you need to go in order to get back to the lift system. There are also some sketchy areas with flowing water seemingly not too far below the snowpack as Asarigawa Onsen is home to a large dam system. Is it possible to have a good laugh in the trees and basically have the whole forest to yourself? Yes. Is it worth making a special trip to Asari solely for the off-piste riding, trees or no trees? Not really. That said, when your track is the only track snaking through the woods, it`s pretty fun no matter how short, unevenly spaced, tight or tricky the tree run returns might be. The lack of crowds is one of the best characteristics of Asari ski area. It`s a spot for the locals with kids` ski clubs, aspiring racers-in-training and friendly folks from around the Otaru area simply enjoying the nicely manicured trails & wonderful views over Otaru (and most likely the onsen afterwards). There are four (4) lifts at Asari. Lifts are pretty slow and the 3-stage, 20 minute bottom-to-top journey can seem tedious. But the ambiance of small Japanese ski areas like Asari is something we really enjoy. Slow your heart rate, breath in the uncrowded air and enjoy the surroundings. You won`t be bothered much by the antiquated lift system if you approach Asari from a mellow point of view. Similarly, you won`t be bothered standing in long lines waiting for lifts either, so no complaining. 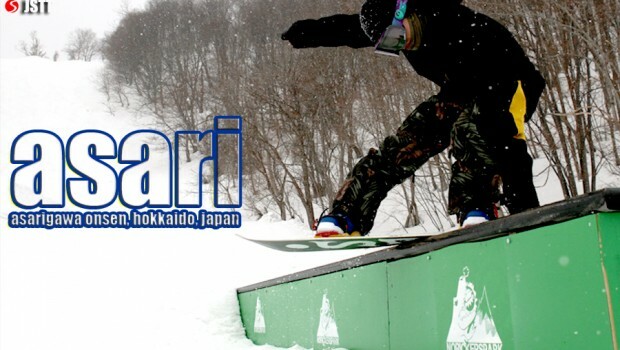 Asari doesn`t profit from the same super dry, otherworldly blower pow that other famous western Hokkaido ski areas enjoy, but it`s Hokkaido, so it snows quite a lot on the little Asari slopes. Due to lower elevation and proximity to water, the snowpack is more ocean-affected (i.e. wetter) as the season enters into late February/early March, but a pow day at Asari will put a smile on your face too. Public bus: Yes, from JR Otaru station, 40 min. *Car recommended: No, the public bus is a very reliable option departing from & returning to Otaru Station multiple times per day that only costs ¥660/RT. Asari ski resort is a great place for beginners and intermediates on the trail, but there are some very steep pisted trails that advanced trail riders can hit high speeds as well. However, snowboarders need to be aware that unstrapping on a deep snow day — or nearly any day — is a reality that must be confronted. If you stay on the upper portion of the hill all day, you`ll have minimal problems, aside from potentially walking out from your tree runs. But if you want full top-to-bottom runs, there are two problematic flat spots — between the purple & green trails and green & yellow or red trails — that`ll probably force you to skate a bit. Snowtrip Tip 2: Public transport to Asari is easy, but pack light. The public bus to Asari ski area is great. It departs from the Chuo Bus terminal in front of JR Otaru Station with an early bus leaving at 7:30am that gets you to the ski slopes in plenty of time to leisurely hop on the first lift at 9am. Catch the bus early at JR Otaru station to ensure you get a seat for the 40 minute ride. Also, be aware that the bus will not drop you directly at the base area. You`ll be let off just across the road and will need to walk for a few minutes slightly up hill, so if you are a skier be sure to wear shoes with traction, not your ski boots, as it could be icy. When you want to catch the return bus to Otaru, walk down the way you arrived, make a left on the main road, then past the Garmisch Lodge to the marked bus stop. The walk will take about 5 minutes so give yourself time so you don`t get stranded at the end of the day. Asarigawa Onsen has accommodations nearby the Asari ski slopes, but we recommend staying in Otaru or Sapporo. 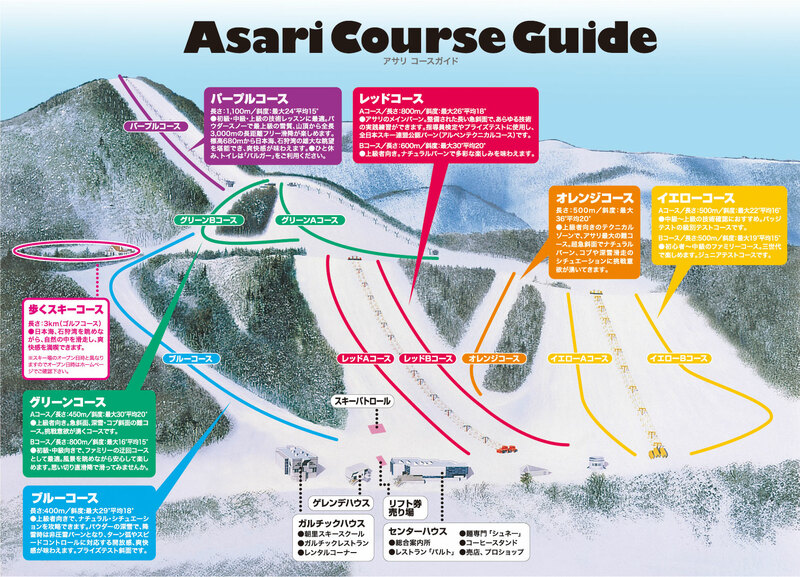 Asari is a wonderful little ski-jo that offers some peace & quiet away from more crowded Western Hokkaido ski areas, but there just isn`t enough to do on or off the slopes to keep you occupied for long. Asari can`t feed your pow fix for more than a day or two, but don`t worry. 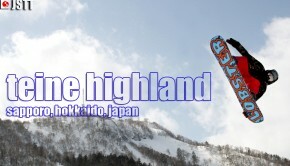 You can access the steeps at Teine Highland, enjoy night skiing at Teine Olympia, find some hidden pow stashes at Sapporo Kokusai and float in Japan`s deepest snow at Kiroro not far from Asari, accessible from Otaru or Sapporo via public transit. Japan Snowtrip Tips is designed to help snowtrippers mix cultural excursions with epic powder submersions in Japan. 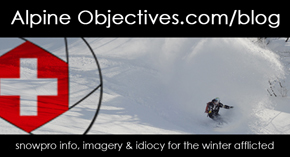 All content is created by Alpine Objectives LLC owner, Christopher DiSabato, who has more than 20 years of international snowpro media, education and operations experience. JSTT offers honest, original, first-hand insight to help guide you along your journey of snow-driven discovery on Honshu & Hokkaido. Beware! After you go down the Japow rabbit hole, you will permanently suffer from a lifelong addiction to overhead blower pow and ramen. 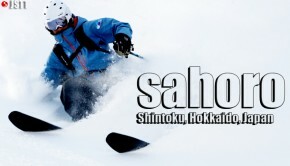 Japan Snowtrip Tips delivers helpful info for skiers and snowboarders visiting Japan`s wintry Islands, Honshu & Hokkaido. 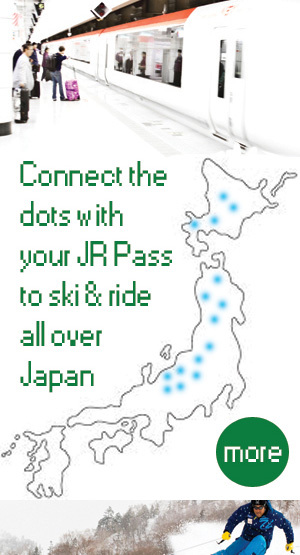 You`ll find Japan ski resort ratings & reviews, ski guide recommendations, transport info, advice for bridging the cultural gap, where to stay, how to save money and what to do away from the ski slopes.